Cash Out Refinancing with No Obligation! My Loan Quote can connect you with competitive lenders that offer affordable purchase and refinance loans to first time home buyers and homeowners with a range of credit. For over a decade, we have managed a network of lenders and banks that offer unique opportunities for people with good and bad credit. Now you can get introduced to lenders that offer bad credit mortgage programs that are special to first time home buyers and consumers with challenged credit. If you have some credit issues that have been holding you back, now may be the time to reconsider financing a new home or refinancing that loan you have been stuck with. Do You Want Help Buying a Home with Little or No Money Down? Our affiliated home lenders can help you get approved for a 100% mortgage or a purchase loan with no deposit at an affordable low interest rate. Buying a house can be overwhelming, so that thing you need is half-hearted help from loan companies that do not have the experience to help you finance a home. With My Loan Quote you are guaranteed to get connected with several lending companies to help walk you through the home loan process. Don't waste your time with banks that only care about your credit score. My Loan Quote will help you find lenders that specialize in home loans for people with poor credit. We understand that there is more to a borrower than just a credit score. Many of our first time homebuyers have little or no credit and our new homebuyer loan programs can help you jump-start homeownership. 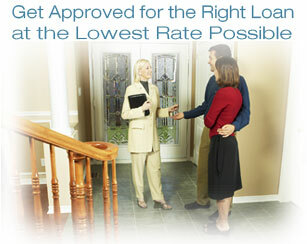 Ask about out our popular first time home buyer loans for bad credit. Make the most of the equity in your home, and get access to cash with a secure home loan or line of credit. My Loan Quote measures its success on borrower satisfaction, so our key goal is to mold a loan that fits your personal and financial needs. Many homeowners are installing new swimming pools or remodeling their homes. We just added new lenders who offer the FHA mortgages that guarantee 30 year fixed rate refinancing. Ask about our green home loans and energy efficient mortgage programs. As you already know, refinancing your mortgage can cut down the term of your existing mortgage that saves you hundreds of dollars in loan interest every year. If you already have two home loans, refinance both your first and second mortgage loans together for one mortgage with a fixed rate and fixed payment. Either way, we have refinance solutions for a wide variety of borrowers. Day in and day out, our lenders provide competitive home loan quotes and excellent customer service. Choose the lender with the best loan terms that saves you the most money while accomplishing your financial goals. Isn't it time you started doing business exclusively with one of the most respected national mortgage companies? The information entered with each quote should be for your primary residence unless specified otherwise. My Loan Quote provides residential home loans with national lenders. We do not offer unsecured loans at this time. My Loan Quote provides info about residential home loans with national lenders. We provide a service that connects loan applicants with mortgage lenders that have a proven track record of excellent service and low interest rates. At this time we do not offer debt settlement, note modifications or unsecured loans. 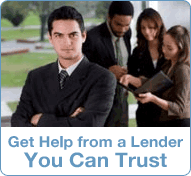 Looking for a Lender Offering Bad Credit Home Mortgage Loans? Whether you want to refinance your ARM, FHA, VA, Conventional or Subprime Mortgage, My Loan Quote can help you find a lower rate with better terms that requires you to pay less out of pocket for our home loans? The demand to get approved for bad credit refinance loans has increased, because so many consumers suffer with low credit scores caused by late payments on the adjustable rate mortgages that they can no longer afford. MLQ affiliated lending companies may be able to help you evaluate several fixed rate refinancing solutions with FHA and conventional lenders. Are you searching for a solution to lower your monthly payments and get money out at the same time? We suggest speaking with professional loan advisors that are able to educate you about all types of home purchase and mortgage refinance loans. Whether you need a question answered or possibly you are shopping for a loan for refinancing, bill consolidation, or just need money fast, My Loan Quote is here to assist you. Even if you have no equity, or need a bad credit home mortgage loan, our affiliated finance experts can review your credentials in hopes of finding a loan program that could improve your situation. Again, there are no guarantees that they will lower your payment but they will make every effort to uncover refinance opportunities. The goal at My Loan Quote is to provide unsurpassed quality service and support throughout the entire home purchase or refinance loan process for every new borrower or existing homeowner. My Loan Quote can match you with educated and experienced loan professionals remain dedicated to simplifying the home mortgage loan experience with the best possible rate and terms available online. Over the last two decades, we have developed strong relationships with home loan lenders that provide the best home mortgages online. Positive Customer Loan Testimonials - Find out if you have what it takes to get a record low rate purchase mortgage. Please note: All lender fees & loan finance charges are subject to applicable federal, state and local law restrictions. Our home mortgage loans are available in all 50 states: Additional home purchase and refinancing loan restrictions may apply for properties in California, Florida, Georgia, Michigan, New York, Texas, and Montgomery County in Maryland. Mortgage rates, terms and lending restrictions apply and are subject to change without notice. All purchase, refinance and construction loans are also subject to creditor approval from lender. Talk to a finance professional about available alternatives if you can't get approved for a refinance. Bad Credit Lenders are available to qualified applicants for subprime, VA and FHA mortgages. Call My Loan Quote for more information and further details regarding underwriting guidelines for first time homebuyers or refinancing.